According to the WHO, diabetes is among the 10 leading causes of death in adults. In the treatment of this disease, a regular glucose monitoring is required. Hence, glucose detection must be accurate, rapid and affordable. Research on glucose sensor has increased considerably in order to provide affordable sensors with good sensitivity and selectivity. 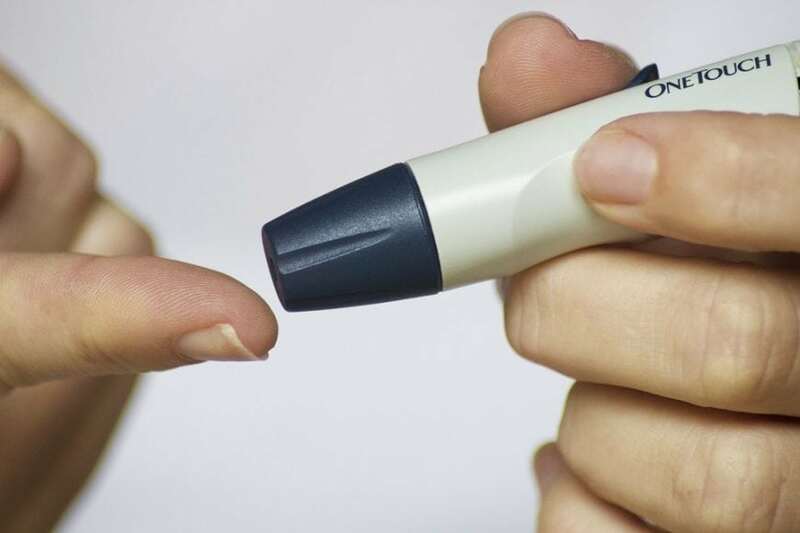 Among the several analytical methods used for this purpose, the amperometric glucose sensor has shown significant good results due to their high sensitivity and selectivity, rapid response, stability and low manufacturing costs. Enzymatic and non-enzymatic glucose sensors (NEG) are the major class of amperometric glucose sensors. In the enzymatic sensors, the enzyme glucose oxidase (GOx) acts as a selective catalyst for the oxidation of glucose on the electrode. Despite the fact that enzymatic glucose sensor has shown good sensitivity, simplicity and fast response they, however, show several disadvantages such as the difficulty in enzyme immobilization and low reproducibility. Moreover, enzyme-based glucose sensors are one-time use only. In non-enzymatic glucose sensors, the glucose is oxidized directly on the surface of an electrocatalyst instead of the (GOx). Several electrocatalysts are used such as metals, metal oxide, alloys, and complexes. Noble metals such as gold and platinum have been used extensively for non-enzymatic glucose sensing. However, they are prone to chloride poisoning. Nanostructure-based metal oxides are of current research interest due to their high surface area, stability, and low cost. In recent years, several kinds of metal oxides have been the object of various studies for non-enzymatic glucose sensing applications. Among various metal oxide Co3O4 is of particular consideration due to its electro-catalytic properties, chemical stability, and availability. However, the inconvenient of poor electrical conductivity make Co3O4 limited in its practical applications. The performance of any sensor is highly dependent on the nature and fabrication techniques used for the fabrication of the electrodes. A typical electrode fabrication process generally requires the synthesis and casting of the synthesized material on a conductive substrate. The casting process usually requires the addition of additive or binding materials. The presence of additive material can produce contact resistance and obstruct reaction site, thus decreases the materials performance. Various deposition techniques such as pulsed laser deposition (PLD), plasma sputtering, atomic layer deposition (ALD) have been used to fabricate Co3O4 films. But these techniques are capital investment intensive and requires frequent maintenance. Other conventional methods, such as hydrothermal growth and electrodeposition have been also used to fabricate the films directly on the substrates, however, these techniques usually result in low electrocatalytic activity of Co3O4. Moreover, these techniques are not suitable for efficient and economic production of glucose sensors due to the lengthy processing time, cost factor involved and intricacy associated with these methods. Alternatively, a solution-based process is an inexpensive process and have been reported to produce electrodes with high surface area and stability for catalytic oxidation applications. In a recent study, Chowdhury et al. (2016) have shown that by doping Sn in the Co3O4 host lattice structure the electrical conductivity of Co3O4 can be increased. Due to increased conductivity Sn doped Co3O4 thin film, fabricated by solution deposition technique, showed enhanced glucose detection performance compared to pristine Co3O4 film. The electrode could be re-used up to a month without losing significant catalytic activity. Further work will focus on extending the linear range, sensitivity and shelf life of the Sn doped Co3O4 electrode for glucose detection. This work is described in detail in the article entitled “Novel Sn Doped Co3O4 Thin Film for Nonenzymatic Glucose Bio-Sensor and Fuel Cell”. These findings are described in the article entitled Novel Sn Doped Co3O4 Thin Film for Nonenzymatic Glucose Bio-Sensor and Fuel Cell, recently published in the journal Electroanalysis. This work was conducted by Tatenda Gota, Mahabubur Chowdhury, and Tunde Ojumu from Cape Peninsula University of Technology. Mahabubur has passion for science and technology. His research interests span from the synthesis of advanced functional material to its applications in bio sensor and water treatment.